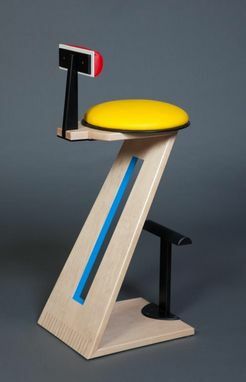 A take off on Gerrit Rietveld's classic Z chair. 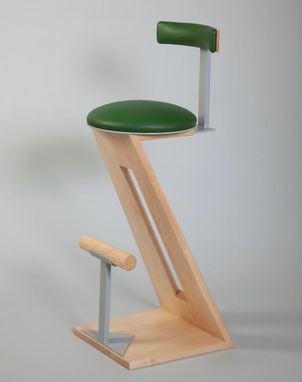 The Z stool is ergonomic and stylish. 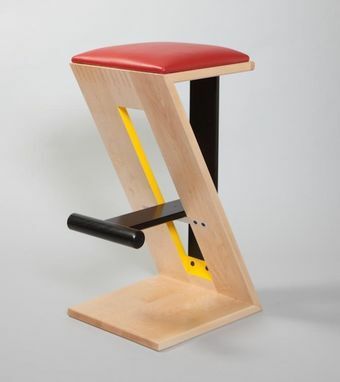 The Z design allows for some flex, making the stool more comfortable. 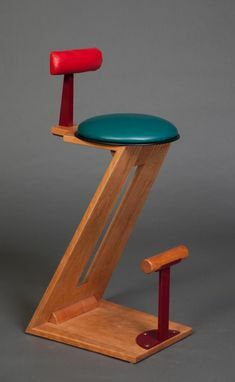 Made of solid Maple or Cherry, with leather upholstery and metal uprights for the foot rest and the back rest.